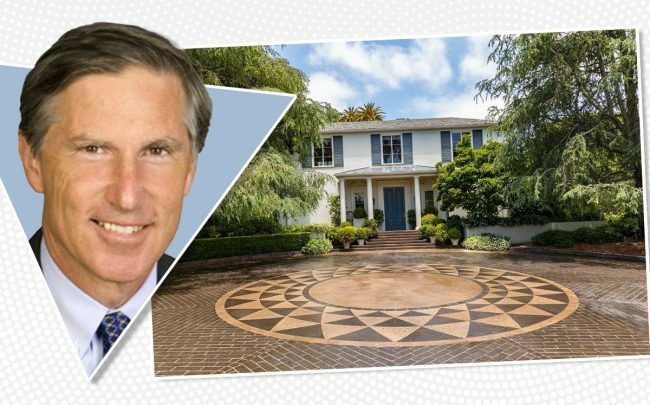 Bruce Karsh, billionaire co-founder of Oaktree Capital Management, has sold his Brentwood estate, The Real Deal has learned. Karsh unloaded the mansion for $33.5 million, about $4 million less than what he paid for it in 2014 when he acquired it from fellow co-founder Howard Marks. The two started the private equity firm that specializes in distressed debt in 1995. Last month, Brookfield Asset Management paid $4.7 billion for a 62 percent stake in Los Angeles-based Oaktree Capital. Karsh sold the 2-acre, 8,600-square-foot home through an LLC, called H25A, deed records show. The buying entity was masked behind an LLC, 12 Oak Properties LLC, which is controlled by an attorney. Located on Oakmont Drive, the Georgian Regency-style residence includes six bedrooms and 10 bathrooms. Amenities include an art studio, racquetball court, oval swimming pool and spa. There’s also a guest house on site. Karsh first listed the home for sale in June 2018 for $42 million. He then re-listed it at $37.5 million in late September, records show. The was designed interior decorator Michael Smith, who was hired by the Obamas for the White House’s residential quarters in 2008. In May 2018, Karsh traded up, buying a home in Holmby Hills for $69 million. The Howard Backen-designed residence was owned by the late movie studio executive, Brad Grey. Marks, meanwhile, has a hefty real estate portfolio of his own.